Do you have a vehicle in Colorado, but no title? You might be wondering what you can do. Well, you might be able to get a Colorado Bonded Title. What is a Colorado Bonded Title? A Colorado Bonded Title (sometimes known as a Colorado Lost Title Bond) is a document that proves you own your vehicle. It functions just like a regular title and allows you to drive, sell, and register your car. A bonded title is just like a regular title, except it is marked "bonded" in the title brand section. This brand implies there is a surety bond attached to the title. A surety bond promises that you are the true owner of the vehicle. When you get a bonded title, you are promising that you are the owner and you will be held accountable for any claims on the surety bond. While we, Surety Solutions, can provide you with common situations where you might be eligible for a bonded title, we cannot say for certain if you are eligible. Only your local DMV can tell you for certain. Get vehicle inspected by a Colorado law enforcement office. Once they are done they will give you a completed Certified VIN Inspection Form. There is a $20 inspection fee. The Colorado Title Record Search requires a $2.20 fee. You have the option to mail the form (Which may take up to 30 days) or go directly to the Denver State Office. Getting a record search will reveal is there are any previous records on your vehicle. If there are, you could manage to contact the original seller, and not need to get a CO Bonded Title. A record search will also reveal if there are any liens on your vehicle. You will want your vehicle to be free of any liens because you cannot apply for a CO Bonded Title if you have open liens on your vehicle. If you choose to have your vehicle appraised by a licensed Colorado auto dealer, the appraisal must be written on the dealer’s letterhead and signed. It must include the dealer’s license number as well. All value appraisals need to include the year, make, and VIN of the vehicle. Your bond must be for 2 times the value of your vehicle (that you found in Step #4). For example, if your vehicle is valued at $2,000 then you must get a $4,000 bond. Make sure you apply for the correct bond amount that you calculated in Step #5. Also have on handy the vehicle motor and manufacturer number. You will need this to apply for your bond. This information should be listed on your certified VIN inspection form. Submit paperwork to your local DMV office and pay $7.20 title fee. If your papers are approved, you will be issued a Colorado Bonded Title. Your title will be marked "bonded". Does my Colorado Bonded Title Expire? Yes, CO Bonded Titles expire 3 years after the date they are issued. During those 3 years, the "bonded" brand remains on the title. If after 3 years, no one comes forward and makes a claim against your Colorado Lost Title Bond, you (or whoever owns the vehicle at the time) can go to the DMV and apply for the "bonded" brand to be removed from the title. 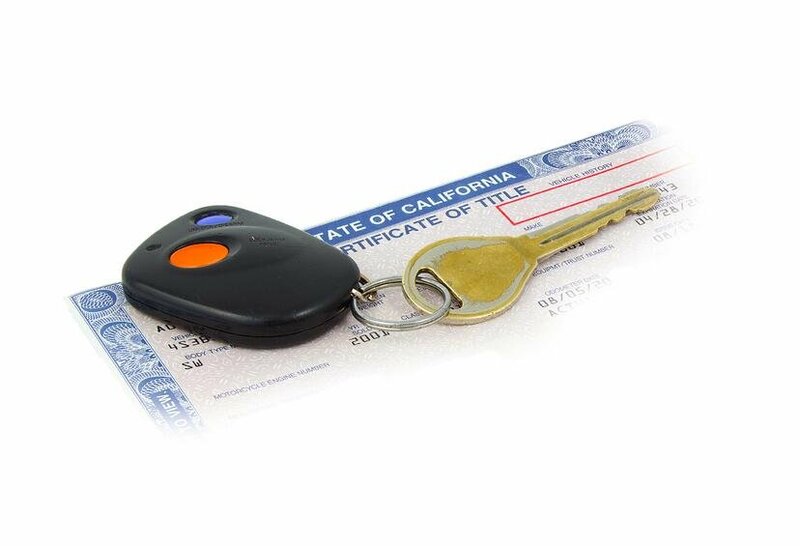 Upon approval, the DMV would remove the brand from your title and you would be issued a clear certificate of title.